Folks seem oblivious to the oncoming train! 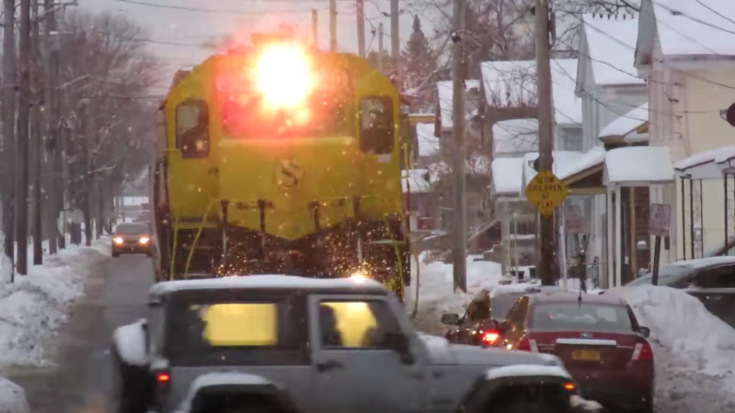 While many communities around the country have tracks running down their streets, the folks in this video seem to be a little too comfortable taking chances in front of this slow moving locomotive. On-street running as it sometimes called, means that the railroad has to share its tracks with automobiles and pedestrians on public streets. While street cars were using imbedded tracks in the pavement back in the day, there are still communities in the United States that use this type of shared arrangement. Some of the the states that still have street running locomotives include Alabama, New York, West Virginia, Pennsylvania, Alaska and California, just to name a few. Let us know if you have any street runners in your town! We would love to hear how it impacts you city!